Battle Royale games have taken over the lives of students at SHS. One game in particular has become the latest obsession—Fortnite. Players tend to spend hours playing the game, trying to become the sole survivor. “Too much. Probably like 14 times a week,” confesses Senior Lester High. He points to the game being an unrealistic and mindless game where a player gets sucked in for hours. 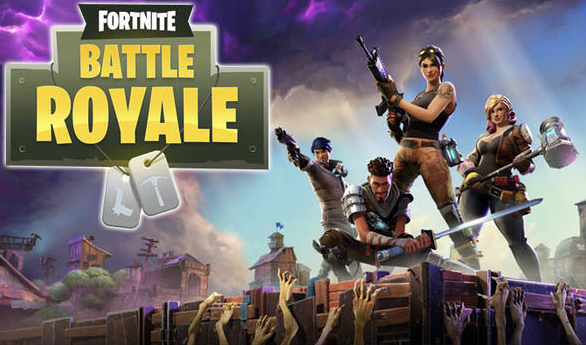 Fortnite, like many other Battle Royale games, offers a squad mode, allowing players to work together with a group of up to 4 people, either friends or strangers. Freshman Nick Marrero says that playing with friends makes the game more challenging and fun as you must work together to beat other squads. Another reason most people pick Fortnite is due to its price and accessibility. “It’s free, it’s available on all platforms,” says Freshman Nathan Coplan. Fortnite’s biggest competitor, PUBG, or Playerunknown’s Battlegrounds, is $20 and is only available on Microsoft Windows, Xbox One, Android, and iOS. The Android and iOS versions are free. The game also adds a new aspect to the genre with the addition of players being able to build with the resources they get from destroying almost any building and the countless numbers of trees and rocks. “You can do anything you want, you can build towers and forts, it’s really cool.” says Lentell. While most players can’t get enough of the console/PC version, Epic Games released an iOS version in March that allowed players to bring the game wherever they go. The overall consensus is that the servers, particularly the lag, is the main problem with the mobile game. “For a battle royale mobile game, this is pretty good. I’ll give Epic [Games] credit for it, but there is a lag issue, I always die due to lag. If they were able to fix it the game would be so much better,” says Coplan. Players like Freshman Aaron Tamkin are disappointed as they cannot play the app as it is not available on older devices. The mobile version is only available on the iPhone SE, 6S, 7, 8, and X, leaving anyone with generation 6(excluding 6S) iPhones or before not able to to play. Fortnite continues to evolve as a game, adding new guns, items, and even map enhancements, that will keep players interested, which means Fortnite will not just be a passing trend.